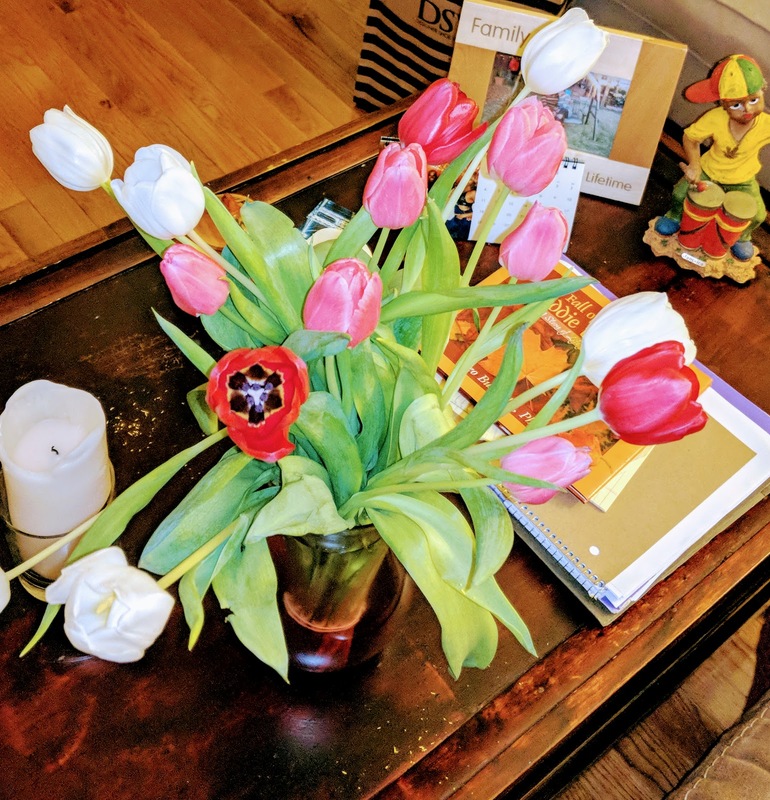 Today, my tulips bloomed--the ones my father sent me for Valentine's day. They bloomed right before my eyes. I'm committed to keeping them alive for as long as I can (I'm usually pretty horrible at keeping plants alive but this is a new season). They bloomed and I thought about how I finally bloomed at age 27. I finally got to a place in my life where I was no longer hiding my love life from the world--I was no longer sneaking around with people who didn't serve me. I was finally allowing myself to love and to love freely. Late blooming comes with it's downside though. I constantly feel so behind in lessons on love. I feel like I'm struggling so much to keep up with my newly bloomed self. I feel like I missed all the memos on how to fall in and out of love--how to handle unrequited love, how to fall back in love, how to leave love behind. I'm almost 29 and I feel so lost--lost in ways that I don't experience in my professional lives. This is my life. This is my love. I look forward to conquering Spring.